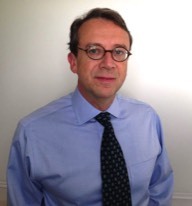 Professor Conway is a consultant endocrinologist at University College London Hospitals and Professor of Clinical Medicine in the Institute for Womens Heath, University College London. His clinical practice covers general endocrinology including pituitary, adrenal, thyroid and reproductive endocrinology. His clinical research interests are in the field of reproductive endocrinology particularly polycystic ovary syndrome, ovarian and testicular function, disorders of sexual development and Turner Syndrome. This research has formed the basis of over 160 academic publications. Professor Conway maintains a clinical research program with visiting international research fellows. Professor Conway qualified from the Royal London Hospital in 1981 and trained in Diabetes, Endocrinology and General Medicine in several centres in central London. His research thesis was in the endocrinology of the polycystic ovary syndrome and he then undertook as fellowship in genetic research in Prince Henry’s Institute for Medical Research, Melbourne Australia. On return he became Senior Lecturer in Medicine at UCL in 1994 and subsequently Professor of Clinical Medicine in the Institute for Womens Heath UCL in 2012. With a major interest in teaching, Professor Conway lectures in Reproductive Endocrinology, for the Society for Endocrinology, the Royal College of Obstetricians and Gynaecologists and internationally with the endocrine societies in the USA, Sri Lanka, India, New Zealand, Australia, Japan and throughout Europe. Patient care is at the heart of the clinical work of Professor Conway and much of the content of this website been developed in collaboration with patient support groups which are listed in the links section of this website. 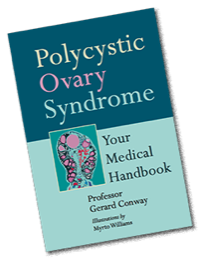 In the 198 pages of this book, Gerard Conway shares the medical information about polycystic ovary syndrome that was previously only available to doctors. Part self-help manual, part home reference, this book covers every thing from the historical background to PCOS to the current thinking about lifestyle and drug treatments. Unlike many books intended for women with PCOS, this book is based on over 20 years of clinical experience using illustrations developed over many outpatient clinic discussions.